As a major manufacturing and shipping hub, accidents are a common occurrence at some Chicago factories. Rosenfeld Injury Lawyers LLC is committed to protecting the legal rights of injured workers to ensure they receive the maximum compensation that the law allows. Below we have compiled some cases involving factory accident cases to give you an idea as to how juries and insurance carriers evaluate these type of cases in the Chicagoland area. It should go without saying, but each case is unique and deserves to be evaluated on its own merits and to make direct comparisons between your situation and the cases below is difficult. Should you or a family member have a question regarding an accident at a factory or other industrial setting, we invite you to contact our office for a free review of your case with an experienced attorney who will address any questions or concerns you have. The Illinois worker in this dispute was crushed and killed by a fan at the factory in which he worked. The fan fell from the ceiling and hit him. He was survived by a wife and child. They brought a wrongful death action against the company whom he worked for. The suit stated that it did not afford the decedent with a safe working environment, did not check to see if the fans were nailed to the ceiling properly, and did not instruct its employees about this danger. The company did not want to admit to any responsibility for this death but they also did not want to go to trial. They convinced the plaintiffs to settle for $65,000. Injury: Neck strain, cervical strain. The victim in this case worked at a hot dog factory in Illinois. Specifically, she worked in the packaging department and oversaw the production that put the hot dogs into their individual packages. At one point, a hot dog jammed the process and she attempted to dislodge it with her hand. Unfortunately, the machine broke three of her fingers in the process. Also, she sustained mild disfigurement from the injury. She sued the maker of the machine and alleged that the factory accident caused her great medical expenses, pain and suffering, and lost income. The defendant company disagreed and countered that her job was gratuitous in the first place. Failing to compromise, they went to trial and the jury sided with the 35-year-old female factory worker. They awarded her $1,050,000 in damages. A plumber in his early thirties was working at a steel plant when he fell from a ladder. He later claimed that the ladder was deficient and collapsed underneath him. Due to the accident, he sustained a serious brain injury as well as headaches, depression, and disability. He sued the company he was working at for negligently maintaining its place of business. The defendant company replied that there was nothing wrong with the ladder and that the plaintiff’s substance abuse contributed to the incident. The jury did not buy this counter claim and gave the plaintiff $2,600,000 in damages as well as 37.5% of the responsibility. Thus, he only netted approximately $1,750,000. Do You Have Questions About an Incident at a Chicago Factory? Everyday workers are injured at Chicago factories due to the negligence of employers and other parties. At Rosenfeld Injury Lawyers LLC we are committed to maximizing the recovery for each worker and their families. We have experience litigating factory accident cases and invite you to contact our office for a free case review with an experienced attorney so you may learn more about your legal options for recovery. 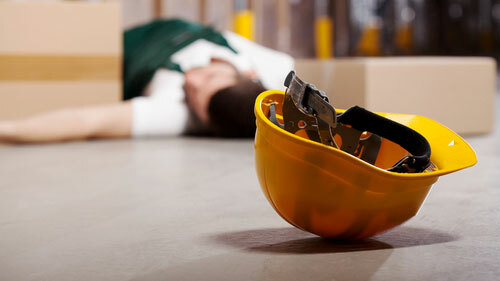 For more information on benefits afforded an injured worker via workers compensation, look here.